Family friendly holiday parks where you can own your own holiday home. Action packed, colourful and full of non-stop fun and adventure. Our family friendly holiday parks in the UK are ideal for groups and families who want a truly memorable getaway. Offering plenty of on-site entertainment, kids’ clubs, bars and water parks, there’s no time for anyone to be bored or struggling for something to do. Younger members of the family will be able to take part in lots activities. This includes club events, sporting and entertainment facilities galore for kids of all ages. From karaoke to the conga, talent competitions to high energy log flumes, there’s something for everyone. Grown ups will be able to unwind in the well-stocked bars only a stone’s throw away from your holiday home. You will find yourselves with lots of opportunities to hang out with friends and make new ones. Our family friendly holiday parks in the UK boast great facilities all run by friendly staff with great local knowledge. There’s more than enough to see and do on-site as well as plenty of chances to go out and explore the local area too. 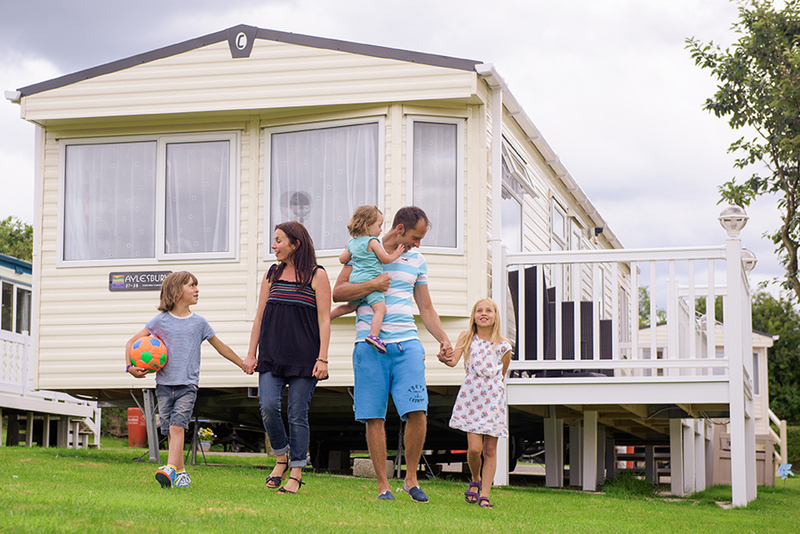 Parks have a great range of family holiday homes for you to choose from. You can expect to find static caravan or lodges up to 4 bedrooms on some parks! Caravans and lodges can come with up to 4 bedrooms so plenty of room for the whole family break. With modern and comfortable interiors, they’re the ideal escape from the nine to five of life back home. Owning your own offers you endless opportunities for the whole family to refresh, recharge batteries and spend quality time together. If you’re looking for a special place for all, our family friendly holiday parks is a great place to find YOUR happy place.